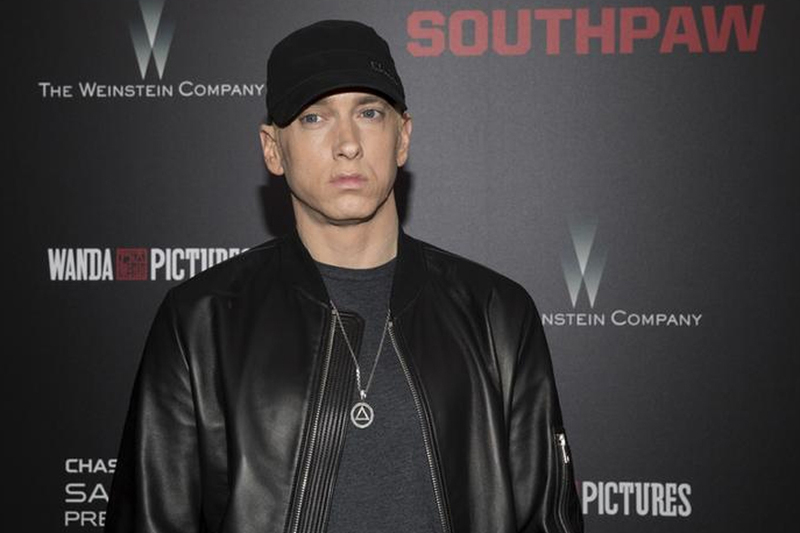 Rapper Eminem has teamed up with a store for a new capsule collection which will be sold at a pop-up shop in London for just one day. The capsule line will feature three different T-shirt designs called The Kamikaze, Success and Graffiti, as well as a limited-edition Icon hoodie. The T-shirts are inspired by Eminem's career and music, reports femalefirst.co.uk. He has joined hands with a store named Rag & Bone. The hoodies will cost 190 pounds, but will be individually numbered. They come in three colours and feature personal references including the 45-year-old star's hometown area code and the anvil emblem, which pays homage to his native Detroit's industrial history. The collection is being sold to mark the remaining dates of Eminem's European Revival tour, which ends on Sunday.